Forget the physical challenge of running for a long time. Running is mentally exhausting too, and the only person who is going to keep you company is, well, you. Let's hope your brain thoughts are interesting enough that you don't bore yourself to death. Running long distance is actually a great opportunity to daydream and to problem solve, so if you can take advantage of all the time you've got, you're already miles ahead of everyone else on the marathon running curve. Marathon training takes months, and possibly even longer than that if you're starting from scratch. Obviously you're not going to see results right away, and if you try to push yourself too hard too fast, you'll end up with a myriad of inconvenient injuries. I fall squarely in the "impatient" camp and have earned myself shin splints and a foot fracture, both of which took me out for the count for months at a time. Marathon runners have to balance that drive to succeed with the ability to listen to their bodies, even if those two little voices in their head are trying to drown each other out. The best advice my mom ever gave me, both in running and in life, was simple: "Run your own race." I think getting wrapped up in beating other runners wrecks the whole magic of running. Sure, you should use faster runners as aspirational goals, but at the end of the day, you only improve by challenging yourself against yourself. 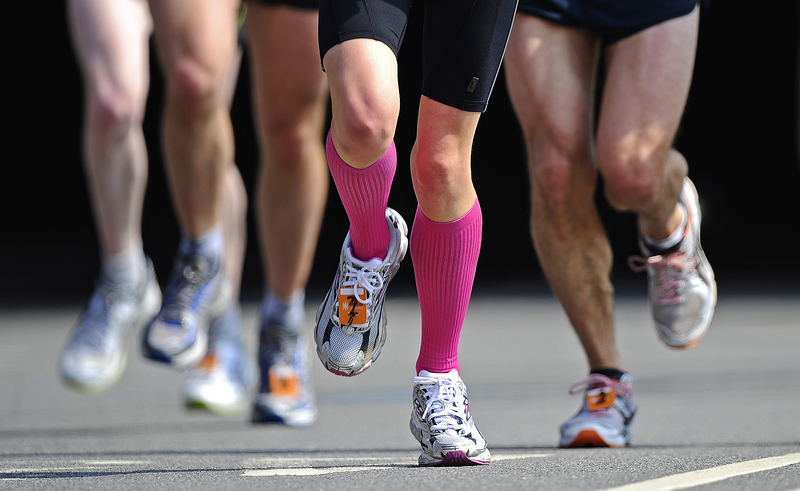 Running a marathon slower than someone else doesn't make you any less of a marathon runner. Marathon running isn't just a lot of work spaced out over a long time. It's a lot of work every single day. The alarm going off at 5AM will never not be daunting, so yeah, you have to be the kind of person who doesn't shirk away when things get rough. There are so many trails and paths that your feet will take you in 26.2 miles that a car never can, and more often than not, you'll be pulled out of your comfort zone. It's one thing to drive in new terrain; it's an entirely different vulnerability to be out in the open some place you have never been, with only your feet to take you home. If you are the kind of person who thrives in the unknown, then you'll use marathon training as a beautiful outlet for discovery. Marathon training isn't something you can do on a whim. You might dash out the door for a quick 5K around the park in the morning, but when you're going long distances you have to load yourself down with Goo packs and water bottles and make sure you've Vaseline'd all your fun places. If you're a chronic over-planner, then congratulations! You'll fit right in. Maybe it's just because I hail originally from Seattle, aka, the Land Of Much Rain, but the best runners I know are the ones that have never been scared by a little torrential downpour. Some runners use weather as an excuse to stay in; marathon runners use weather as an excuse to break the monotony of all that pesky sunshine. There is some part of you that enjoys testing your body to its physical limitations, and a secret smug part of you that thinks that it makes you slightly better than non-masochists. And thank the running gods, because marathon training is one of the few healthy outlets for this kind of mindset. I mean, hopefully we all do. I'd like to think that at the end of a six-miler I could keep running if, say, a zombie hoard chose that moment to come after me. (No, really, it could happen—there is a "Zombies Run!" running app you can download on your phone.) The truth is, marathon training is just a mental test of tapping into whatever you've got left, and if you can access it at the end of a run, you have what it takes to finish a 26.2 mile race. I think a lot of people take up running because it's an ends to a means—they want ripped calves, or want to shed a few pounds, or even focus better at work. And while there's nothing wrong with that, there is still a divide between people who run because they think they have to and people who run because they want to. If you're someone who runs because you genuinely enjoy it, then hell yeah, go train for a marathon. What are you waiting for?! The first mile is always the hardest one. It's an inordinate amount of time while your body is warming up for you to convince yourself of all the reasons why you can't do this, but here's the thing—you get past that first mile, and everything is a little bit easier. Even if a mile is all you can run right now, hey, you MADE it. You can run a marathon if you set your mind to it, too.